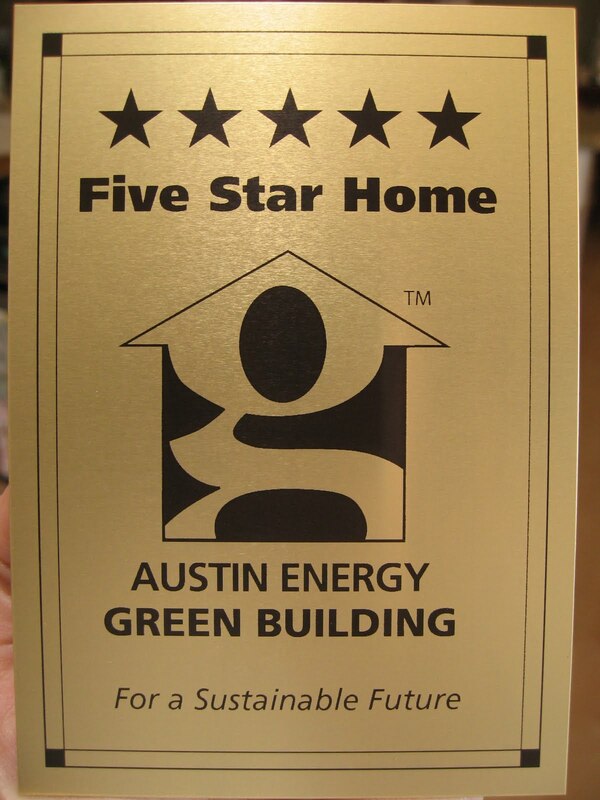 Despite construction wrapping up a year and a half ago, we just got our five-star plaque (plus a certificate) this week. We actually have four-star documentation that was sent to us about a year ago, but now that our landscaping has been done to five-star standards (including bringing in good soil and compost, limiting our lawn area, and using only native and adapted drought-tolerant plants), we've finally gotten that last star. Sometimes, when I tell people about our five-star green house, they ask what we get for going to the trouble to build green. The answer is, pretty much, that plaque. 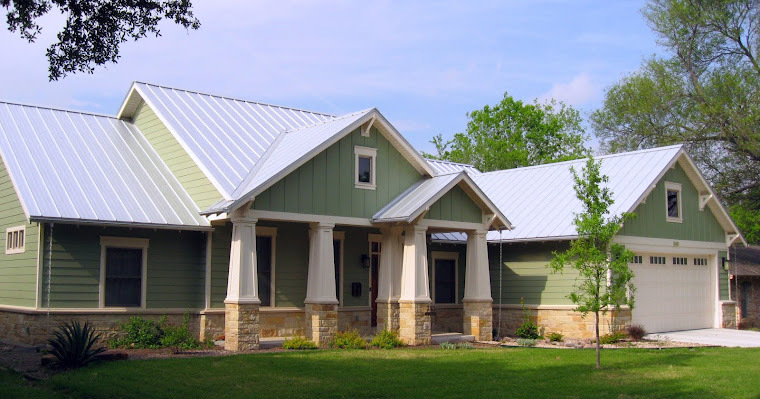 Back in 2009, as we started researching the construction process, it quickly became clear that a sustainable, energy-efficient house was the only option that made sense for us, so the green designation is largely just a bonus. However, there are certain things we did purely to get that fifth star (four stars was a given based on a variety of features we would have opted for anyway). In particular, we wouldn't have spent the money to recycle our construction waste (for which we paid nearly 1% of our total construction cost), and we likely would have had a larger lawn. But we're happy with the choices we've made...and it's exciting to finally have that plaque.